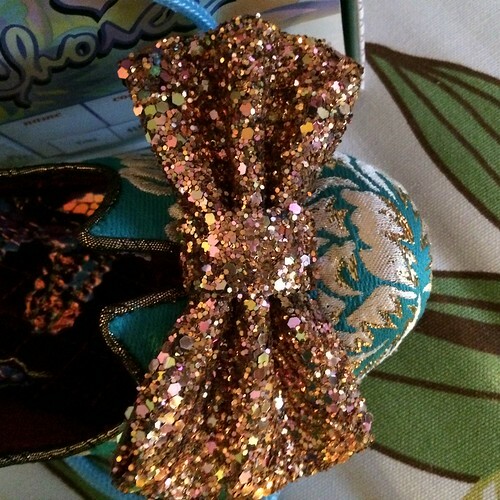 t*rexes and tiaras: Sunday Shoes 070: Irregular Choice Trixy.. 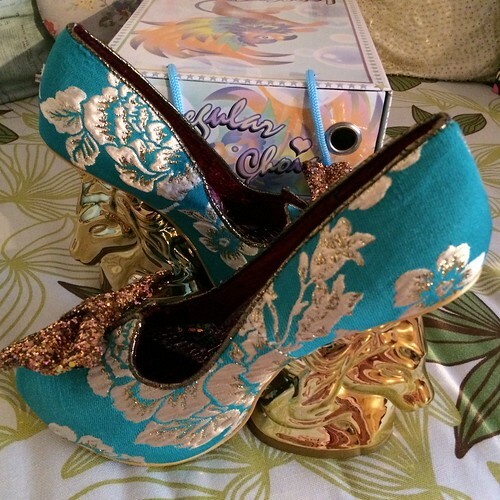 The other pair of Irregular Choice shoes I received for Christmas were these Trixy unicorn heels. But, in gold, they suddenly seemed so much more appealing. 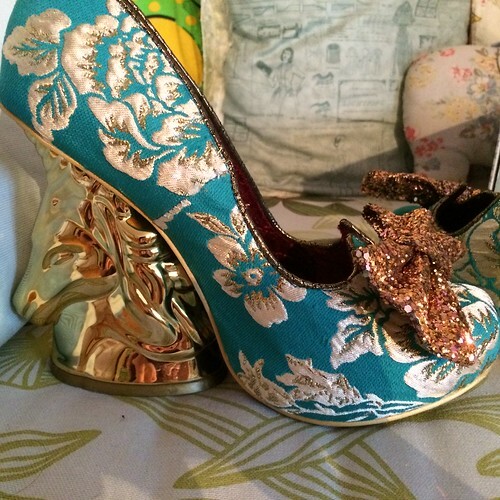 I don't know if it's the fact that the gold heel complements the gold in the floral or what, but I love these. I'm a sucker for textured fabrics so this jacquard is the perfect choice as far as I'm concerned, and I love the bright teal colour. Of course, being the kind of person who would put a bow on anything if she could, the glitter bow on the front is one of my favourite features. So. Glittery. Haha, like a little museum of shoes! 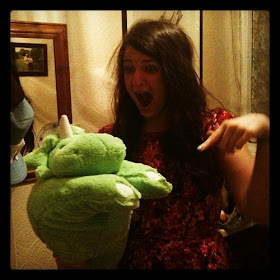 Wow, those are so cool and IT'S A UNICORN! 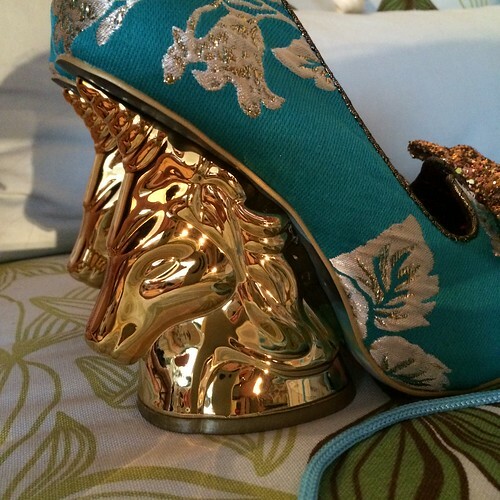 So pretty and creative, I wish I could walk in heels so I could wear these. They remind me a little of chess pieces. 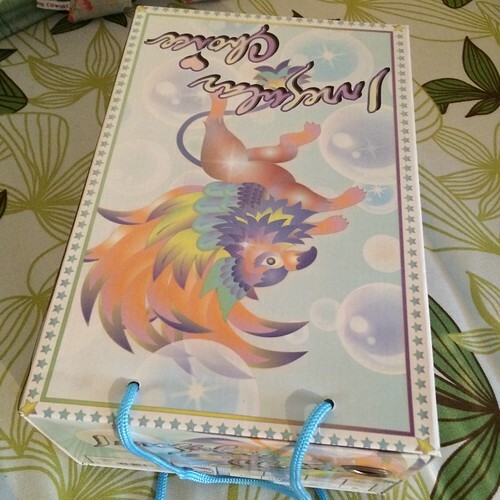 Yeah, I really didn't like the usual unicorn heels. I don't know why the gold ones are so different but in this colour I reallyl ike them. They're so lovely and bright. I love them. 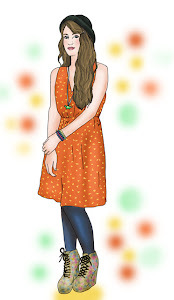 Must find an outfit for them. I like just looking at them. Like a work of art.